On this lovely antique Agra a classic Herati design of leaves and palmettes unfolds across the field in allover symmetry. 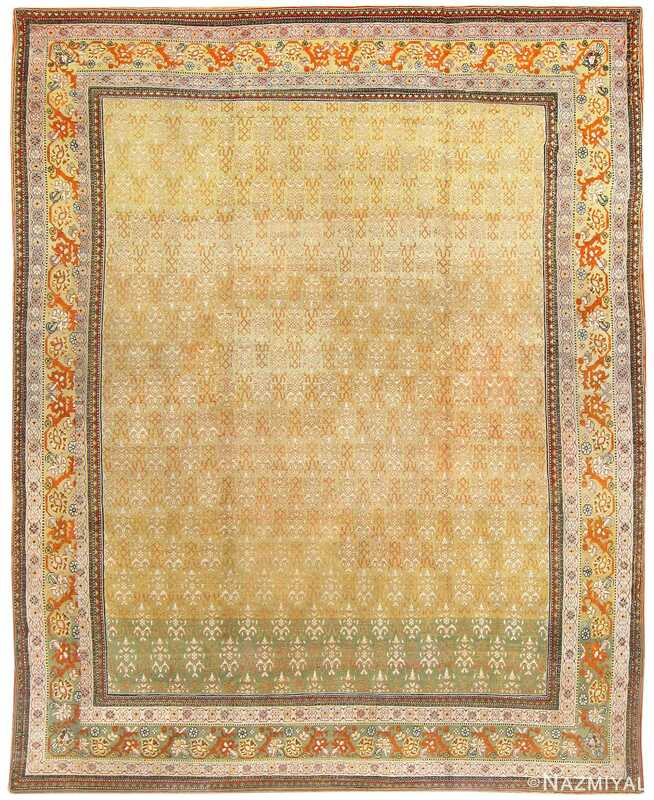 Antique Agra Rug, Origin: India, Circa: 1900 – On this lovely antique Agra a classic Herati design of leaves and palmettes unfolds across the field in allover symmetry. 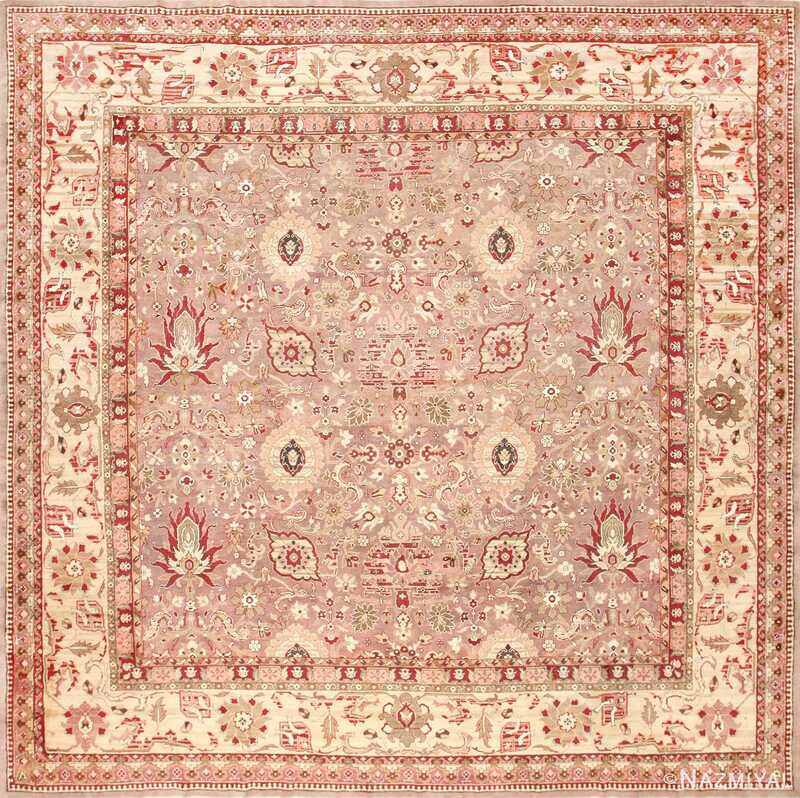 The pattern is rendered in shades of pale gold with sparing use of deep red for accents. The grand scale of the design is unusual and striking. Herati designs tend to be tiny and mechanical without the bold sweep of this example. 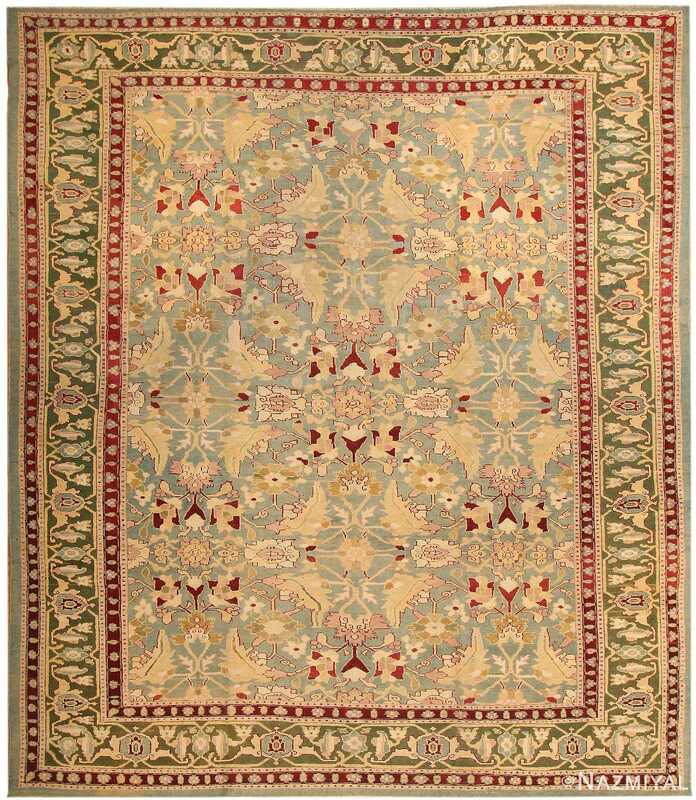 A ‘turtle’ vine-scroll serves as the main border set against an olive green ground that nicely complements the pale blue field, while the minor borders in deep red adroitly reprise the accents of the field design. 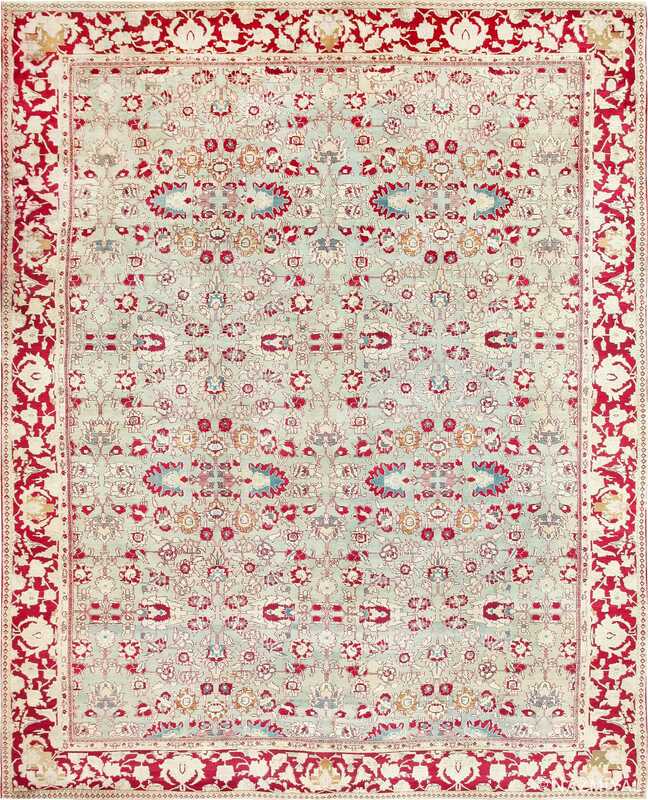 Embodying the model of Mughal magnificence, this antique Indian rug from Agra depicts a superb allover pattern rendered in a regal palette of burgundy and neutrals.